Quick—what do the Xbox, Eggland's Best eggs and Adams flea and tick spray have in common? For the record (and before your mind wanders too far) they’re a few of the 23 winners of the annual Product of the Year honors. Yes, we know, a nice bonfire could be had with all of the awards and trophies out there. But getting named one of the POY is actually a very big deal for a brand—not only for the boasting rights, but for the marketing. The winners will appear on the cover of Parade magazine, and the halo effect of a POY translates to an average sales bump of 10-15 percent. While many of the winners are already category leaders that probably don’t need help with sales, smaller brands that made this year’s list—including Aldi SimplyNature Squeezable Fruit snacks and Le Savonnier Marseillais liquid soap—are sure to be happy for the exposure. POY has actually been around for close to three decades now, though it’s only had a U.S. presence for six years. 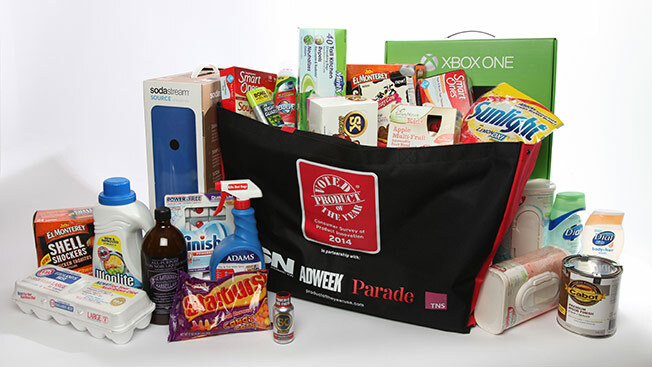 Winners are chosen via survey performed by market research firm TNS, and this year some 40,000 consumers weighed in with their favorite brands. POY CEO Mike Nolan said that the survey acts as “an advocate” to help consumers choose brands of “truly superior innovation.” No doubt he’s right, but any brand that’s top-of-mind enough to get named in a consumer survey deserves a free dinner. The below brands will get it, too, at tonight's fete at the Edison in New York.